At its foundation, a cone usually has a circular base. From there, a single face rises to a point at the top called the apex, or vertex. There are different types of cones, which include right circular, convex, double, and many others. 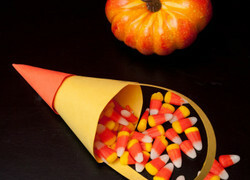 The games, worksheets, and activity ideas from Education.com below will help your students explore the different types of cones and their properties. 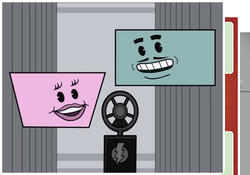 I spy with my little eye... some real-life shapes! 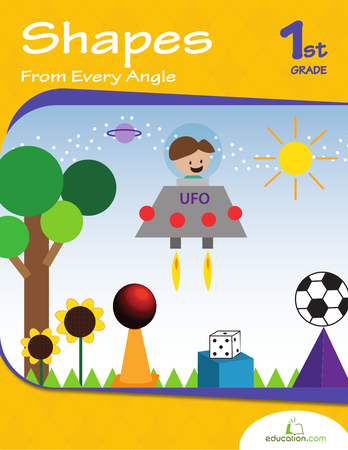 Get your child to recognize shapes all around him by filling in this shape chart. 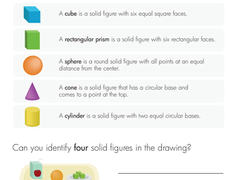 Kids completing this third grade math worksheet learn the attributes of solid geometric figures, then identify the figures among common lunch objects. Color and Count the Cones! 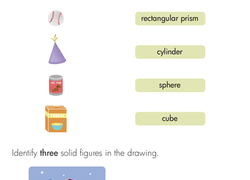 Which solid figure describes a baseball? A sphere! Kids completing this third grade math worksheet match common objects to solid geometric figures. 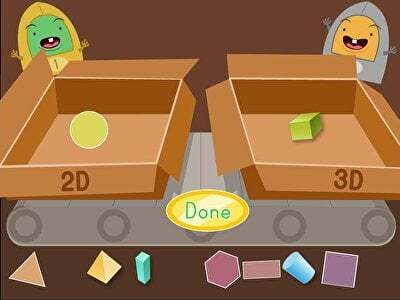 Challenge your young mathematician with some solid shapes like cubes, pyramids, prisms and cones! 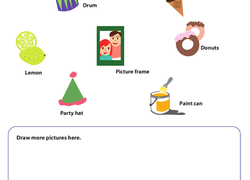 Challenge your students to identify cones and categorize objects with this geometry resource! 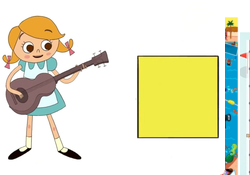 This exercise will give your third graders practice recognizing the characteristics of a cone and finding real-life examples of the three-dimensional shape. What makes a cone different from a cylinder or a cube? 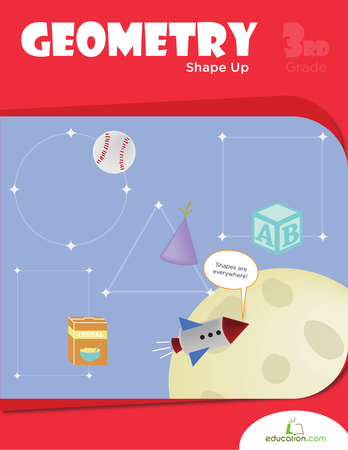 Use this helpful resource with your students to take their geometry skills to the next level as they practice identifying the characteristics of a cone and comparing them to other 3-D shapes. Conical objects can be found in numerous areas of everyday life. Though many students instantly think of a bright orange traffic cone, there are more sophisticated examples of cones. Beyond the basics, students can also expect to use their understanding of cones in as they advance in their educational and professional lives. Careers such as optometry, for example, rely on a deep understanding of cones to understand how the eye’s retina functions. These formulas require an understanding of π (pi), as well as radius, height, and more. 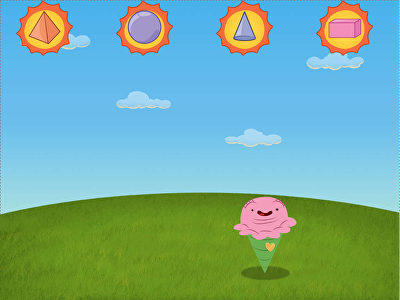 As students use the games and activity ideas provided by Education.com above, they will build competency in a number of mathematical skills. From understanding how to use exponents to working with interdependent properties such as volume and surface area, studying conical objects provides students with great opportunities to build their math skills.